Cruising Alaska’s Inside Passage introduces travelers to one of the last large areas of pristine wilderness on the planet. The Inside Passage winds through the Alexander Archipelago, a group of over 1,100 islands that are actually the tops of submerged mountains rising from the sea. The Tongass National Forest, which is the largest national forest in the country, surrounds the Inside Passage and covers the majority of Southeast Alaska’s panhandle. The Inside Passage is a blue, green, and golden world where relentless natural beauty simultaneously soothes and amazes the senses. Twilight lasts for hours during summers in the Tongass, with vibrantly colored sunsets lingering on the horizon until they finally drop behind the mountains or into the sea at some point after 11 p.m. However, there is more to an Alaskan cruise than a serene sojourn through one the planet’s last wild places. 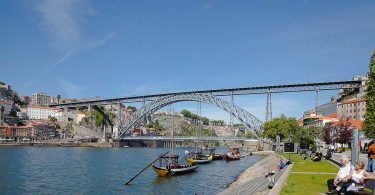 Each of the port cities is an adventure in its own right. The three main port cities on an Inside Passage cruise are Ketchikan, Juneau, and Skagway, each with its own rich history and unique culture. Following are the highlights of each of these communities. 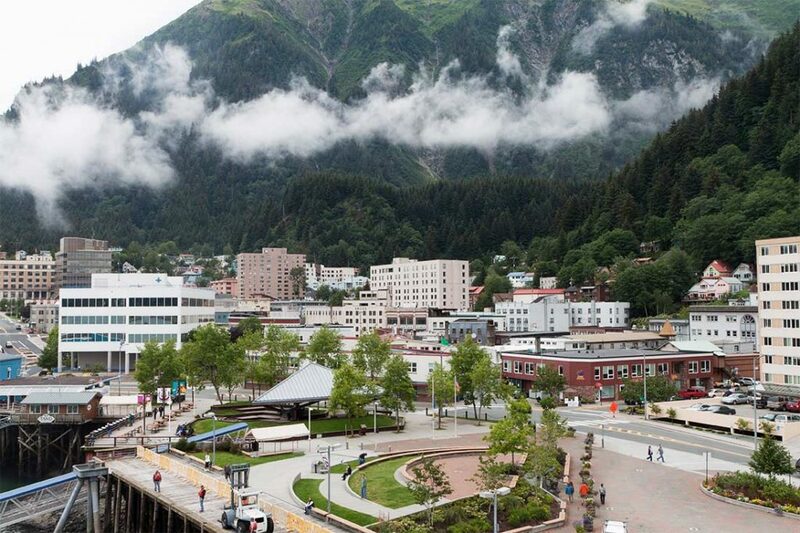 Do Juneau the capitol of Alaska? Juneau is the only capital city in the country that’s on an island, and the only way to get here is by sea or by air. This community of just over 31,000 people is a magical combination of frontier mining town and world-class city. Many of Alaska’s best soapstone carvers live and work in Juneau, the seafood dining scene is excellent, and the Mendenhall glacier is easily accessible via helicopter tours — it’s even possible to take a dogsled ride while visiting the glacier. While walking down the boardwalk that lines Broadway Street in Skagway, cruise ship travelers are treated to a glimpse of the gold rush days of 1898. 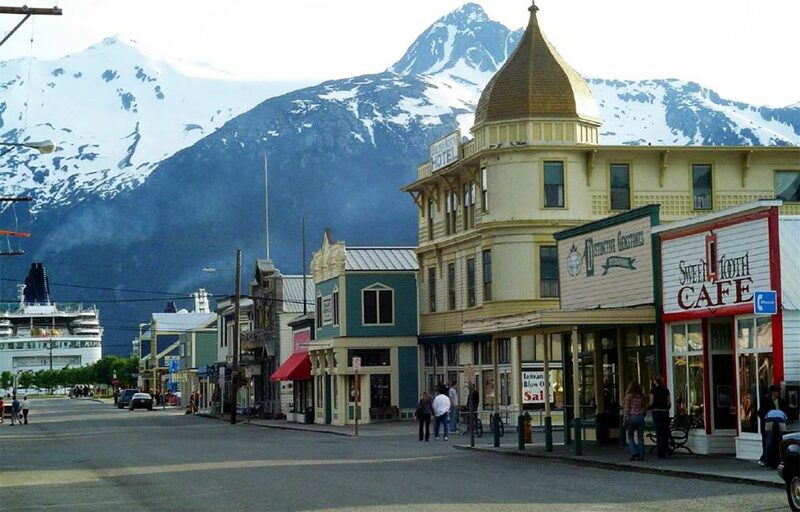 With a population of just a little more than 1,000 residents, Skagway is the smallest of the port cities, but it certainly isn’t lacking in colorful history. Visitors can take the train up through White Pass to see the route the gold seekers struggled through on their way to the Klondike gold fields. You can also take in live theater performances depicting life during the gold rush days at the Skagway Eagles Lodge. The cold and clean tap water in Skagway comes from a pure, glacier-fed mountain lake and is an experience that shouldn’t be missed. Of course, there’s a lot more to Alaska than the port cities of the Inside Passage, but they’re an excellent introduction to this beautiful state. Otherwise known as “The Gateway to Alaska,” Ketchikan is the southernmost city on the Alaskan panhandle and the first stop for northbound cruise ships. 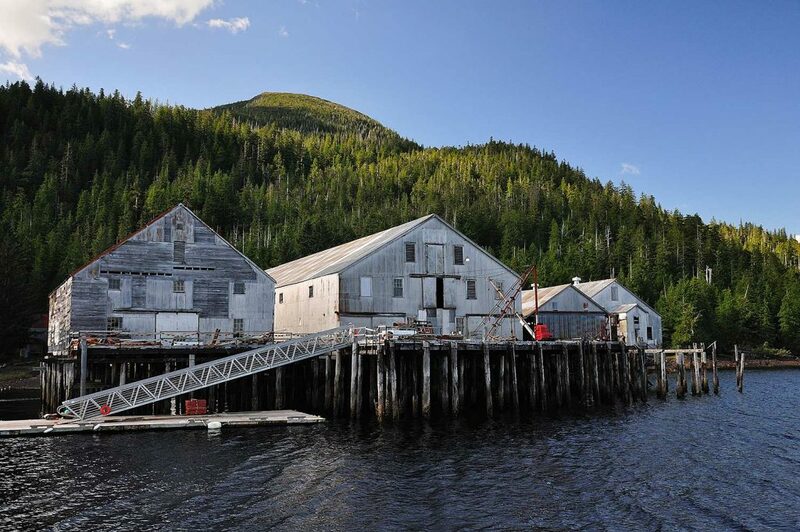 Ketchikan’s historic downtown features an authentic frontier ambiance. 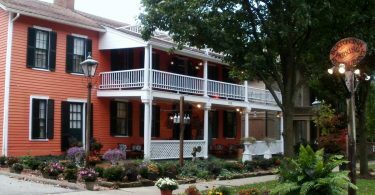 Creek Street was the city’s red light district for the first half of the 20th century and now provides boutique shopping and dining opportunities. The annual salmon run in Creek Street in August and September enthralls visitors and locals alike, and there are times when the fish are so thick in the creek that the water isn’t even visible. Ketchikan also features the world’s largest collection of totemic art, and this city of slightly over 8,000 residents is home to a large commercial salmon fleet. During the popular tourist season, the place is bustling with visitors and locals alike.